Feeling rather uninspired lately. Weeks are going so slowly, looking forward to things this upcoming week, including the clocks changing soon! Finally some more sunlight (and hopefully warmth) for England. Considering starting one of those 'Sunday Summary' posts everyone and their mum does, I really enjoy reading them, and look forward to having tons pile up on my dashboard every Sunday night. Saying this, in comparison to the lives of many other bloggers my life really isn't that interesting - mainly consists of school, homework, room-tidying and obsessing over Pretty Little Liars. Anyway - onto the post! After school this week I, in a state of boredom thought it would be wise to take photos of my school bag...because I'm nosy and enjoy reading this sort of thing! I just find them really interesting and a nice insight to someone else's life. 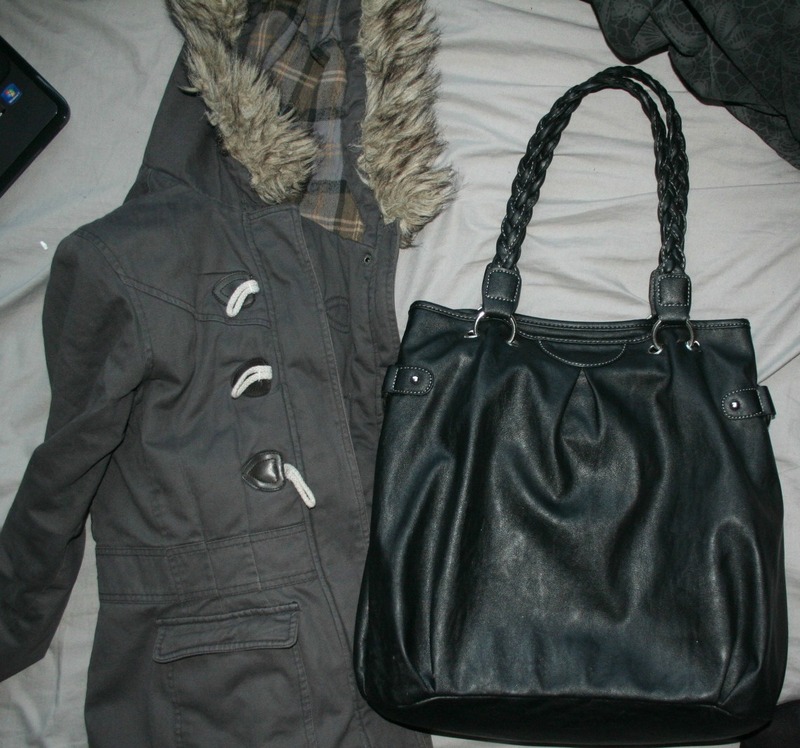 coat and bag, both from New Look. black ring binder for French, Cath Kidston ticket holder, asthma inhaler, nail clippers and lip balm. ﻿I hope you've enjoyed a sneak peek into my bag! Do we share anything in common?! Did you know that you can shorten your urls with LinkShrink and receive dollars from every visitor to your shortened links.